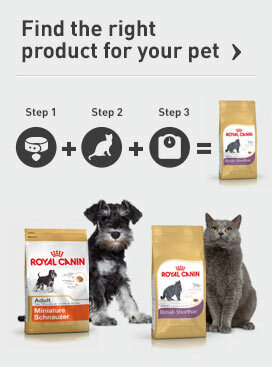 At ROYAL CANIN®, everything we do is for the dog and the cat. Our ranges of cat and dog food have been carefully and scientifically developed to provide exactly the right nutritional solution for each pet. Our research into nutritional profiles and kibble design has resulted in diets that are precisely tailored to your pet’s needs. Precise nutrition helps in maintaining the health and well-being of cats and dogs throughout their lives. Take a look through our ranges to find out more.